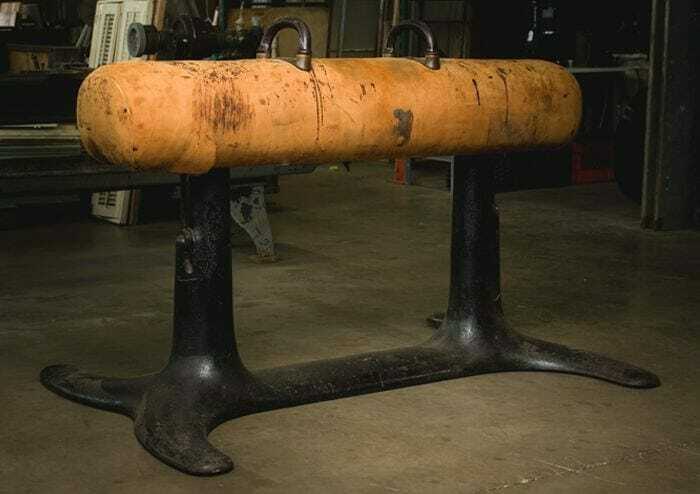 Vintage pommel horse. Well-worn leather, metal handles, and cast iron legs. American-made.